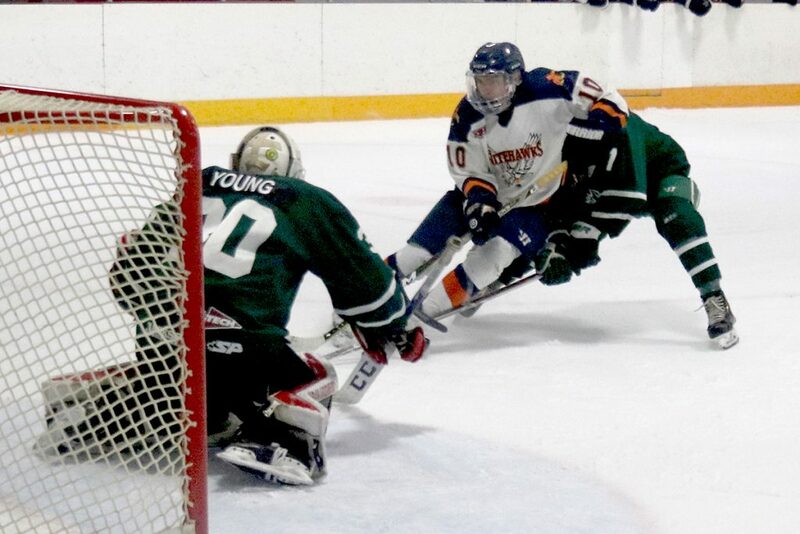 The Beaver Valley Nitehawks wanted a win over the Nelson Leafs so bad they could taste it. 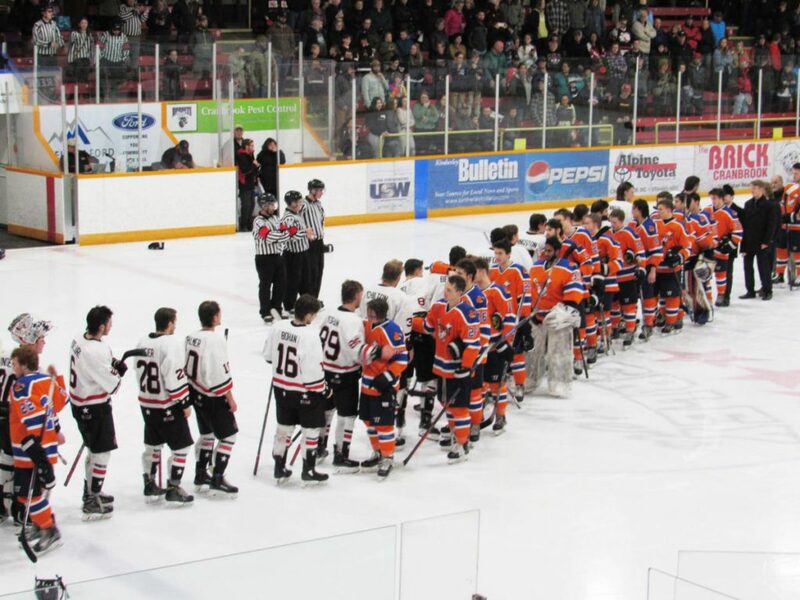 The Nitehawks are winless, 0-3-1-1, against the Leafs this year, and on Saturday they did everything to earn the two points but score in overtime, settling for a 4-4 draw against the Neil Murdoch Division leaders at the Beaver Valley Arena. The Nitehawks matched the Leafs goal-for-goal in an exciting end-to-end match up that offered everything from high-end speed, great plays, brilliant saves, and devastating hits. The tie follows a 6-4 victory over the Creston Valley Thunder Cats on Friday, and is a bit of a turn-around for the Hawks after losing three straight matches, two against division rival Grand Forks and one versus Nelson, before getting back on track. Shawn Campbell opened the scoring for the Leafs 76 seconds into the match, taking a pass from Kaleb Comishin and wiring it past Hawks goalie Saran Virdee for a 1-0 lead. However, the Hawks answered at 4:24 when Hagen made a slick move in the slot, then fed Ryan Crisalli at the left post to tie it. But Nelson’s Easton Jolie put the Leafs back up front finishing a 2-on-1 with Emery Nielson with 1:42 remaining in the opening period. The Nitehawks didn’t go quietly into the middle frame, as Kevin Duguid hit Jared Stocks down deep and the Edmonton product went top shelf to tie it at 2-2 with a minute left and the Nitehawks holding a 10-6 edge in shots. Bradley Ross put the Nitehawks up 3-2 just over two minutes into the second period, taking a pass down low from Simon Nemethy and roofing it from a sharp angle over the shoulder of Young for his 18th of the season. 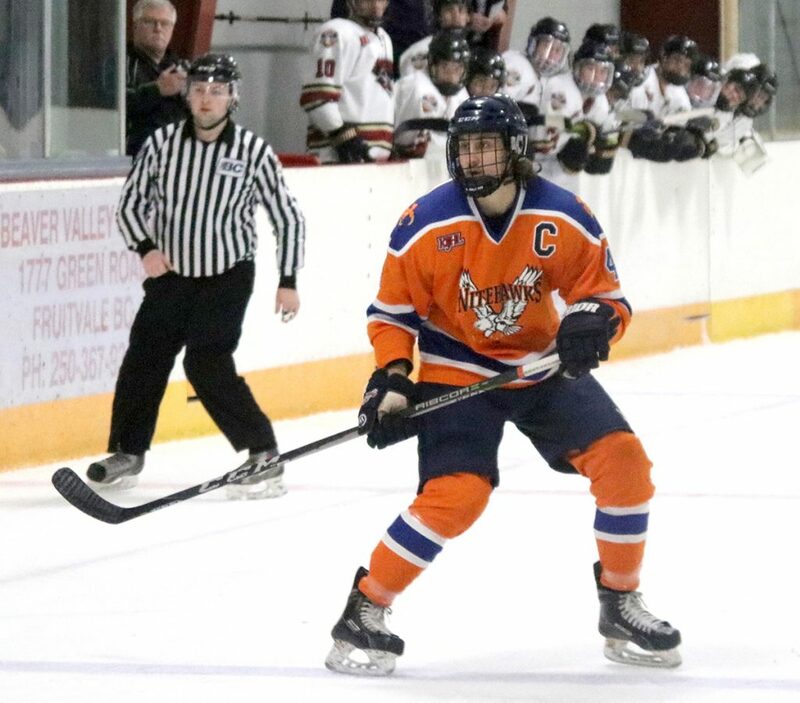 Leafs d-man Nicholas Onofrychuk tied it at three midway through the period, before Crisalli scored his second of the night for Beaver Valley, giving the home team a 4-3 lead with five minutes left in the second period. Michael Hagen lofted the puck from centre ice over the Leafs’ defenceman and Crisalli blew by the defender, settled the bouncing puck, and fired a shot on net. Leafs goalie Hunter Young stopped the shot initially, but the Leafs defenceman checked Crisalli into the goalie, and the puck popped loose and into the net. B.V. neutralized the Leafs offence for the first half of the third period, but a breakdown in the Hawks end allowed Michael LeNoury to step into a rebound off a blocked shot and beat Hawks goalie Saran Virdee high blocker to even the game at 4-4. The Nitehawks carried the play in two overtime periods but couldn’t beat the Leafs goalie, who stymied the Hawks on two breakaways, and shut down Ross all alone in front with just over a minute to play in the 3-on-3. Virdee also stood tall in the extra frames, making back-to-back saves off LeNoury and Castlegar native Campbell to keep the Hawks hopes alive, then outlasted a flurry of action in the final minutes to preserve the point. The tie leaves the 19-14-3-2 Hawks well back of the 27-9-2-0 Leafs and with just 11 games remaining in the regular season schedule, B.V. will try to get on a roll heading into the playoffs. 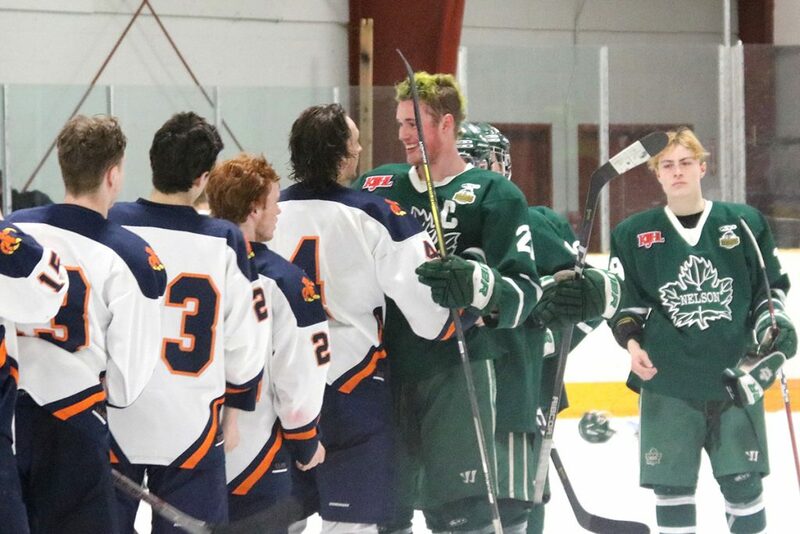 Hagen had three assists on the night, while Ross, who has scored in three straight games, was named player of the game for B.V. and Young for Nelson. The Hawks outshot the Leafs 34-32 and were 0-for-7 on the power play, while the Leafs went 0-for-4. On Friday, the Nitehawks jumped out to a 4-1 first period lead and never looked back on their way to a 6-4 victory over Creston. The line of Leroux (1G,2A), Hagen (1,1), and Crisalli (1,1) combined for seven points, and Stocks, Ross, and Nolan Corrado rounded out the scoring for B.V. The Hawks outshot the Thunder Cats 43-28 with both teams going 0-for-2 on the power play. Corrado earned the game star for the Hawks and Austin Canete (1,1) for Creston. 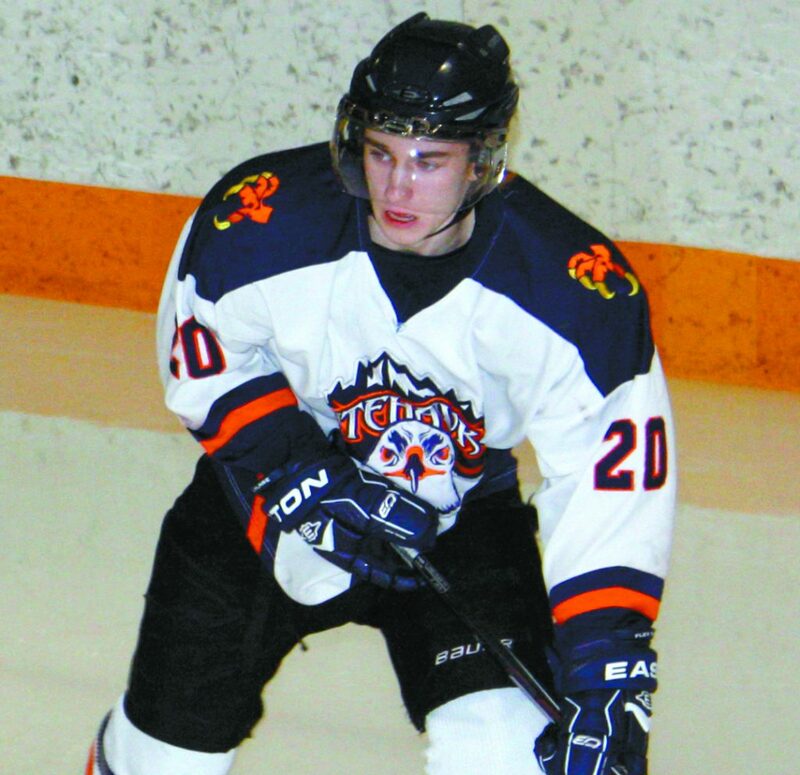 The Nitehawks return to action on Saturday when they host the Golden Rockets at the B.V. Arena at 7:30 p.m.